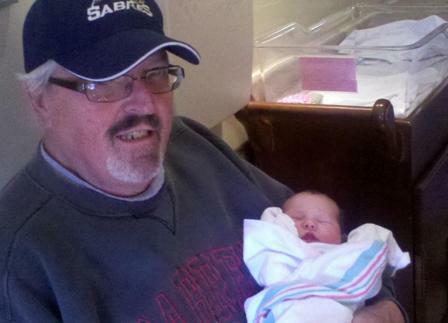 Mr. Gary P. Goodrich, age 63, of Franklinville, New York, formerly Salamanca, died suddenly Monday evening, February 18, 2013 shortly after being admitted to Olean General Hospital, Olean, New York. Born on February 21, 1949 in Salamanca, New York he was the son of the late Frank and Pauline Vincoski Goodrich. He was married on August 12, 1988 in Salamanca, New York to the former Connie Schuyler who survives. He was a veteran of the U.S. Army serving with Army AUSSIG in Germany during the Vietnam Conflict. He was awarded the Good Conduct Medal, National Defense Service Medal and a Sharpshooter with an M14. Mr. Goodrich was employed for 30 years at Cattaraugus County Department of Social Services in Olean, NY retiring in 2004 as a Senior Examiner. After his retirement he worked part time at Community Action in their Heap Program. He enjoyed working for Civic Auto in Franklinville, New York, especially going to the car auctions. He was a member of the Franklinville American Legion Post #526, Franklinville Conservation Club, and he served as vice president of I.O.O. B., Franklinville. He was a life member of the Veterans of Foreign Wars John F. Ahrens Post #5296, Salamanca. He was a drummer for various local bands including Fox Creek. He enjoyed being a D.J., traveling, the Sabres, Notre Dame, Buffalo Bills, and Buffalo Bandits. Surviving besides his wife are: 2 daughters, Samantha (Aaron McClory) Goodrich, Franklinville, New York, Janelle (Jason Stadler) Goodrich, Cuba, New York; a granddaughter, Madacyn McClory, Franklinville, New York; 2 brothers, Robert Fleming, Little Valley, New York, Ronald (Pat) Goodrich, Springville, New York; several nieces and nephews. Friends may call at the O'Rourke & O'Rourke Inc. Funeral Inc. Funeral Home, 25 River Street, Salamanca, New York on Thursday from 2-4 & 7-9 P.M.
Funeral and committal services will be held in the funeral home on Friday afternoon at 1 P.M. with Rev. Patrick Melfi, pastor of Our Lady of Peace Parish, officiating. Full military honors will be performed by members of the American Legion Hughes-Skiba Post #535, Veterans of Foreign Wars John F. Ahrens Post #5296 and Franklinville American Legion Post #526.. The family suggests memorials to the Franklinville Fire Department Ambulance Fund or the S. P.C.A.